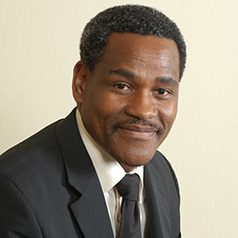 Mr Lumkile Patriarch Mondi is a Senior Lecturer at the School of Economics and Business Science of the University of the Witwatersrand in Johannesburg, South Africa. Mr Mondi is a strategist, economist and a leader. He has worked extensively in the African continent in his responsibility at the Industrial Development Corporation (IDC) where he was an executive for eleven years. He also serves on the Boards of Aerosud and listed companies such ArcelorMittal. He is the chairman of Thelo Rolling Stock Leasing. Mr Mondi has more than twenty years of postgraduate experience and over seven years working in financial markets. Mr Mondi is also involved in the BRICS think tanks in institutional strengthening and coordination. He has presented and participated in various conferences world-wide, including the UN, World Bank, BNDES and OECD. Mr Mondi was employed by the Industrial Development Corporation of South Africa as a Chief Economist and Divisional Executive for Professional Services for the past ten years until 30June 2014. His role included positioning the IDC as a leader in development finance in Africa. In achieving this goal, Mr Mondi led a team of researchers, structured and project financers, capacity building and agencies. His responsibilities included overseing the analyses of the macro and micro economic environment (business, economic, industry and policy) globally and locally. As a consequence of this role, he has a respected thought leadership profile in South Africa and thorughout the region, where he writes, presents and comments on radio, print media and television on political economy. Mr Mondi served in President Zuma’s State Owned Enterprises Presidential Review Committee. Previously Mr Mondi served as a member of President Mbeki’s Economic Advisory Panel. As a fellow of the African Leadership Initiative (ALI) an Aspen Institute Initiative, he is engaged in influencing leaders to be value based in tackling poverty, inequality and unemployment in pursuit of a better life for all. Before joining the IDC in July 2003 Mr Mondi was the Deputy Treasurer at Transnet. He spent 7 years at Transnet, two years of which he was a Treasury Manager in the Group Finance Department at Transnet Limited. As a Treasury Manager, Mr Mondi was in charge of Treasury’s Assets and Liabilities Management, Cash Management and External Loans. His responsibilities were liquidity, currency and interest rate risk management. Mr Mondi was for more than 5 years involved in the Transnet Pension Fund as a Trustee and served in the Investment and the Administration (Benefit) Committees of the Fund. Mr Mondi was the Group Economist at Transnet between 1996 and 2001. Mr Mondi was responsible for economic analysis and dissemination of strategic knowledge to all Transnet’s businesses. He is involved in the Trade and Industry Policy Strategy (TIPS) Group, particularly in analysing WTO policy on trade in services. Mr Mondi was part of a team of trustees who negotiated the transformation of R36 billion Transnet Pension Fund into three separate identities. He was a member of the Investment Committee who decided on Asset Allocation, appointment of Fund Managers and management of Asset Managers. He is currently a trustee of the new R14 billion defined contribution fund. Before joining Transnet Mr. Mondi worked for Deloitte & Touche Consulting Group as a Development and Financial Economics Consultant. He provided solutions to both private and public sector clients. MA Economics (Macroeconomics, international economics, public finance, and development economics). Eastern Illinois University, Charleston, Illinois, United States of America, 1993. B.COM. (HONS) Economics. University of the Witwatersrand, Johannesburg, South Africa, 1992. B.COM. (Economics, Business Economics, and Commercial Law). University of the Witwatersrand, Johannesburg, South Africa, 1990. Transnet. Esselen Park, 1999. Management Advancement Programme (MAP). World Bank(EDI) & University of Maryland 1998, Washington DC. Currency and Financial Crisis: Early Warning Signals. WEFA, Pretoria, 1998. Forecasting Techniques.